Please meet our experienced sales representative to discuss your project needs. 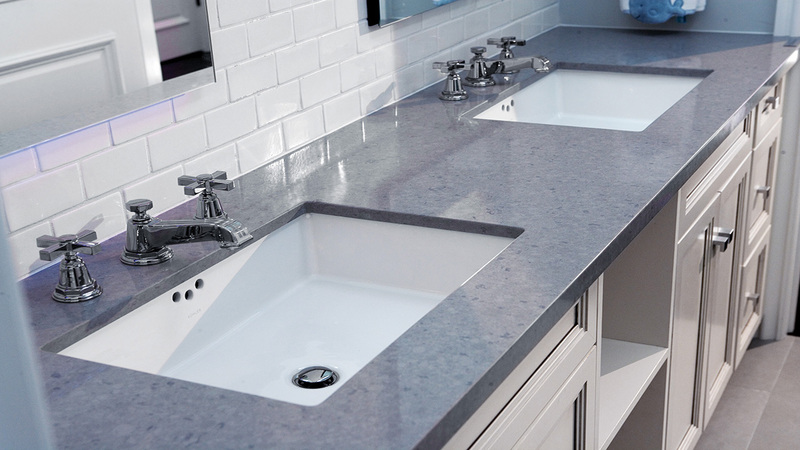 We will help guide you to select the countertop material, color, sink and faucet considering your vision and budget. We have a large indoor natural stone inventory and only offer top-quality quartz products: Cambria, Silestone, Caesarstone and more! iDesign Granite uses a state of the art digital measuring tool, which provides the most accurate templating. 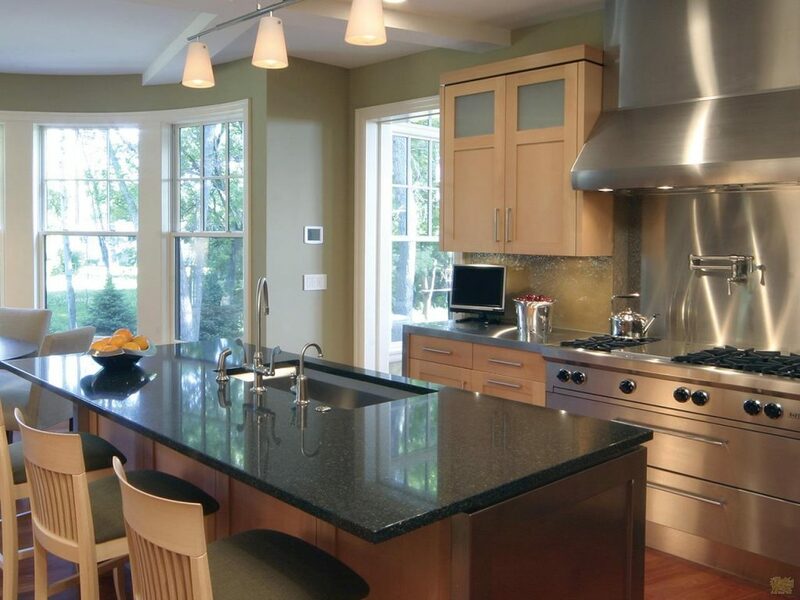 Your countertop design is then finalized by using a computer drafting software. Each customer will have a chance to review the drawing and approve all details before we do any cutting. 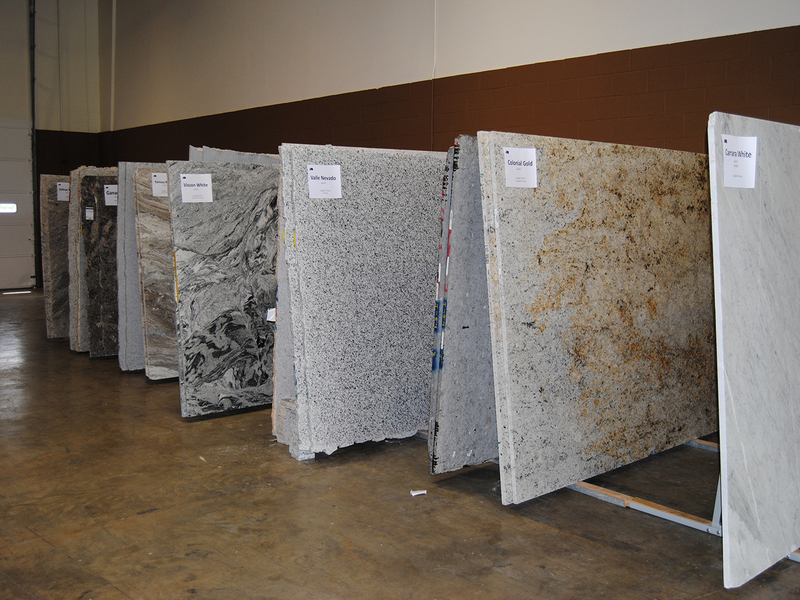 We fabricate your personally selected slab into a beautiful countertop that will greatly transform your home or space. 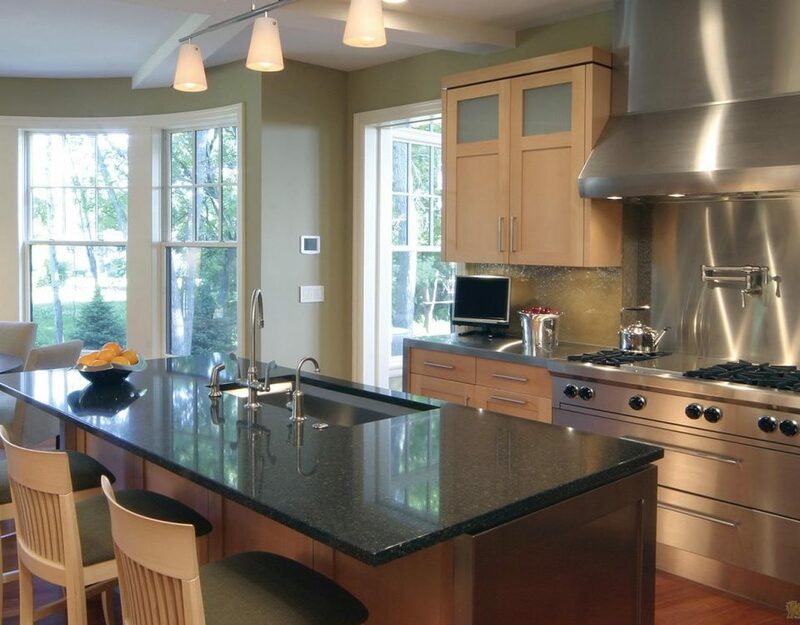 Our entire team understands the importance of remodeling your kitchen or bathroom and each job is taken very seriously. We promise to be respectful of your home and space, do the best work possible, and complete your project meeting your highest standards. We guarantee your absolute satisfaction on every job installed. Melissa and JJ at iDesign were outstanding at helping us find the right granite for our renovated wet bar / kitchenette, and they went above and beyond in getting the countertop, island, and bathroom vanity installed on our very tight schedule. They were patient and helpful while we searched through the many different patterns at their store (over a couple of different visits), particularly trying to find a 2-color combination. Their prices fit our budget and they were very clear about the costs. But most importantly we had a short opportunity to get everything installed right near Christmas and they were able to work their schedule to fit us in. Their measurements were precise and the granite was a perfect fit! It's a beautiful addition to our home. 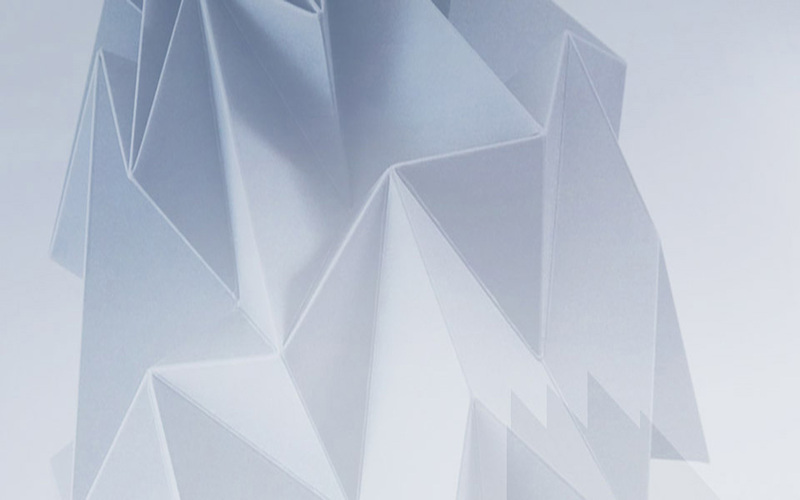 iDesign is awesome! We worked with Melissa and JJ and got the custom bar top we were looking for at an amazing price! The turn around time was super fast and everyone was very thorough in checking the measurements to make sure everything was perfect! I highly recommend iDesign!! Great experience. Knowledgeable and helpful. Got a few estimates and price in line with all of them. The install was done on schedule. Definitely check them out if you are planning on adding granite countertops. Very pleased with IDesign Granite. From the very beginning they were helpful and patient. Great selection of products too. Installers were wonderful and, we are just so happy with how the countertops turned out. Will definitely use them in the future when we redo our bathroom. Thanks for a wonderful experience!!! So helpful and very patient! It took me a while to decide what I wanted and they were never pushy or made me feel rushed. They have a great selection and are very helpful through out the process. They were priced competitively and made the install a breeze with a plumber coming in right behind the installation to hook up the faucet and dishwasher. Everything took about 5 hrs to complete!! IDesign planned, prepared and installed a built in granite desk for me. The quality of the material and the professionalism of the personnel was second to none. I highly recommend you work with them for your granite needs! I can’t say enough good things about iDesign Granite. I had my kitchen countertop replaced and dealt mostly with J J, who was extremely professional from start to finish. His responsiveness was exceptional. The entire iDesign Granite team did a superb job for services provided from measuring to installation. They also installed kitchen sink and faucet and it looks super cool. My kitchen is done now and I am super happy. I would certainly recommend them to others and plan to share their contacts to my friends and coworkers. Thank You iDesign Granite! 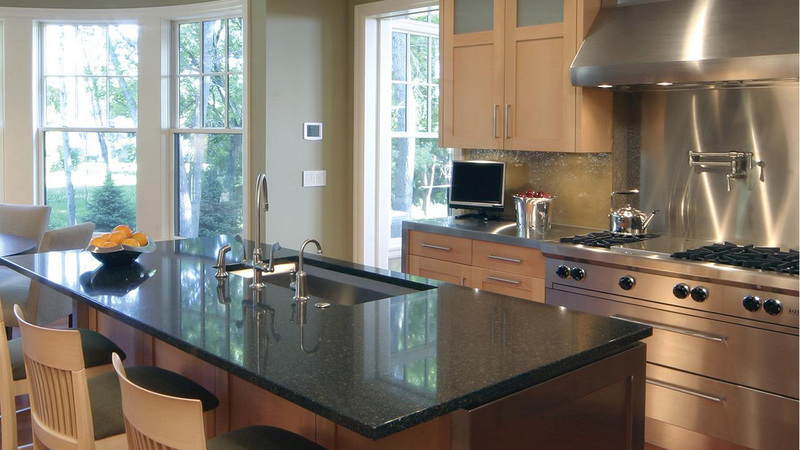 My husband and I are very happy with the service and product we received from IDesign Granite. 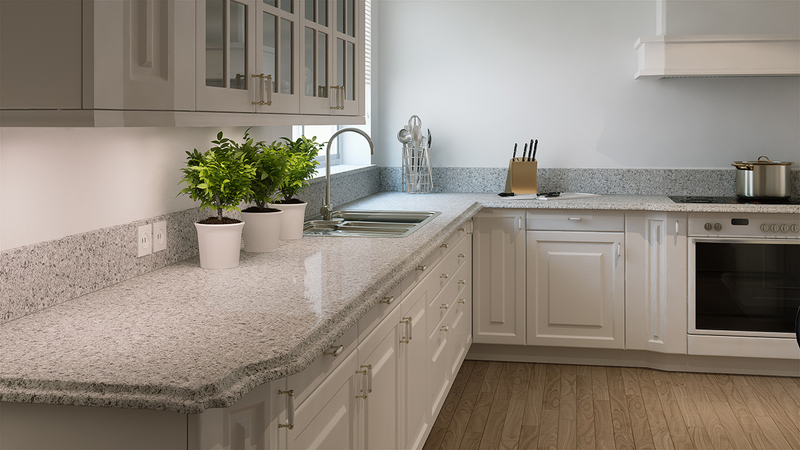 After several visits to other granite retailers, we let Melissa at IDesign Granite know of our decision to purchase new Silestone Quartz counter tops and that we were on a time crunch. She immediately scheduled a date for our countertops to be laser measured and checked on the soonest date they could be installed. The installation was completed within the time frame we had requested, and the installers did a great job, leaving the area clean. The new countertops look beautiful. We couldn’t be more pleased with how seamless the process was from start to finish. My job involved replacing the back splash along one wall which turned out to be a challenge, as I have an older home built in 1955 which over the years has settled. In preparation to replace a soon to be 30 year old slide-in range, it became obvious that a skilled hand was needed to pull off the discrepancy of height in the two counters. My range came with its own back splash in 1989 and granite counters were installed in 2004. 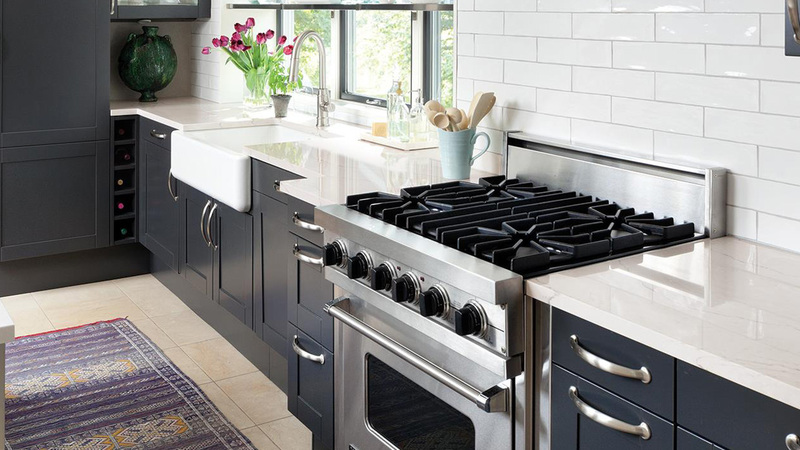 When shopping for a new slide-in range, I learned they no longer came with their own back splash which caused the need of some minor renovations, one of which was the electrical outlet needed to be lowered, which was originally hidden by the built-in back splash. The second hurdle was for the new back splash to appear level as it would be continuous along the wall of the range. To accomplish this the installers made an extra trip to my home to remove the existing granite back splash, and measure the height needed for the new one, from the corner of my counter to the range where it became slightly wider. The new back splash would consist of 2 pieces, one which would span across the smaller counter and continue behind the range and line up with the other. The finished result was both fit snug under the wall tile to the counter and the height discrepancy was no longer visible. I would highly recommend Idesign Granite! 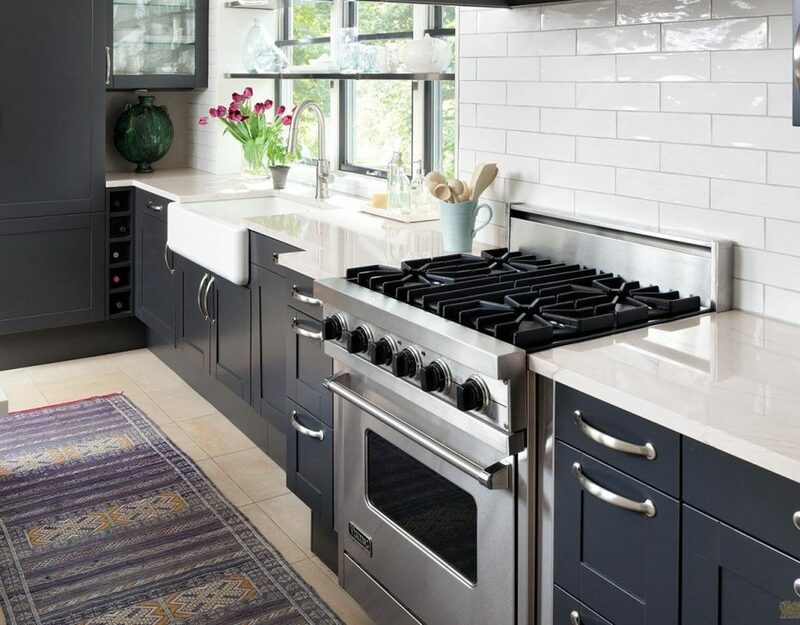 Read more about home remodeling projects!